I know. I know. I have a lot of these. Playing with yarn keeps me from snacking and is an excellent way to relax whilst a young one runs around like a beast. I love that movie. 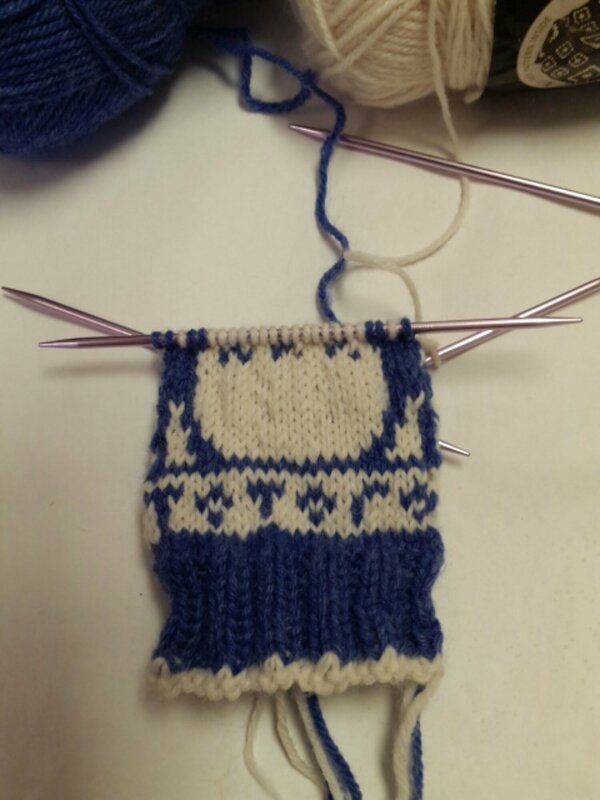 These are stranded knitted mittens with two colors of yarn at once. I’m getting better at getting my tension right so the colors look nice and the darker color doesn’t show through. It’s easier for me to use thicker weight yarn and make something I’ll use. (I made a purse/little bag once that is awesome but I never use it…I should dig it out). Anyway, both skeins are Lion Brand Wool-Ease. It is a wool blend that is machine washable, woot! The pattern is from brella, her pattern page says “Totoros are the shy forest spirits portrayed in Hayao Miyazaki’s Japanese animated film My Neighbor Totoro. There’s a big one with an umbrella, two little ones, and a bunch of dust bunnies (or soot sprites) who like to swirl out of dark corners. 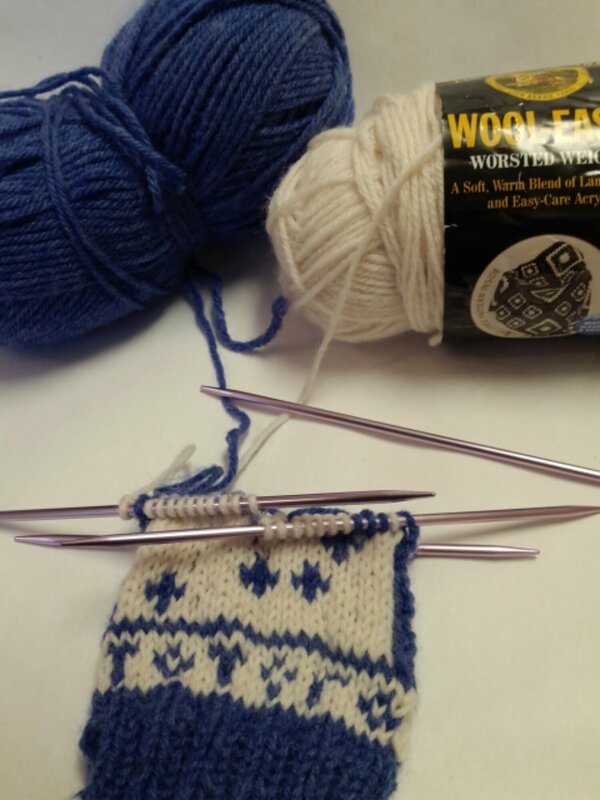 I wanted to capture all of these elements on mittens, which in the Norwegian tradition are wonderful surfaces for intricate stranded knitting designs.” These will be so cute and toasty! I really like them and will probably make more mittens like this. Its funny to see them come to life! Since the yarn is thicker they are stitching up very quickly. Once I tried using double points it went even faster.